What's the Beef? Is the USDA Doing Enough to Control an Outbreak of Mad Cow Disease? Is the USDA Doing Enough to Control an Outbreak of Mad Cow Disease? 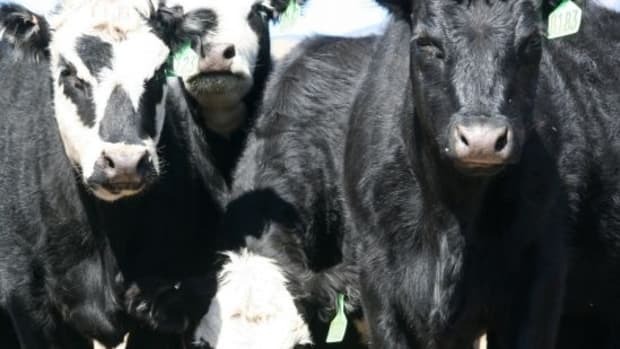 Japan and 40 other nations around the world halted importation of U.S. beef last year when a cow in Washington State tested positive for mad cow disease (bovine spongiform encephalopathy, or BSE). Since Japan&apos;s discovery of its first case in 2001, it has tested every cow for the disease before allowing it to enter the food supply. Until recently, the Japanese government insisted that U.S. officials do the same if beef exports are to resume. After intense negotiations that lasted for months, Washington claimed Japan&apos;s requirement is expensive, unscientific and ineffective, further convincing the Japanese that cows younger than 20 months are not at risk for BSE, don&apos;t need to be tested and are thus safe for human consumption. Is this truly a safe assumption? Japan confirmed its 14th case of mad cow disease in October 2004-the second confirmed case in one month. Both cows were older than 20 months. Are Japan&apos;s tests truly unscientific and ineffective, having discovered 14 BSE cases and thereby preventing tainted meat from entering the food supply? Japan&apos;s strict testing method begs the question: If the United States tested every single cow, how many more cases of mad cow disease will we find? The theory behind the age limit is that cows younger than 20 months are unlikely to have been exposed to meat-and-bone meal made from ruminant animal parts. 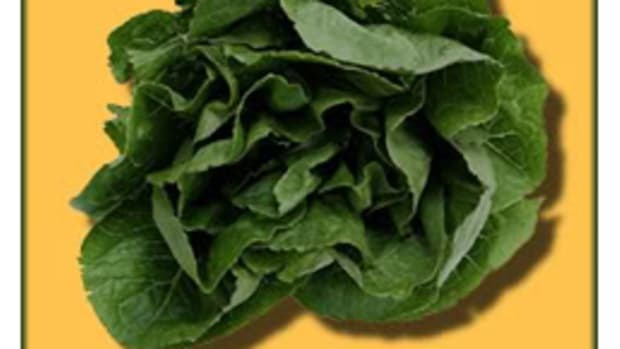 Such meal is believed to have been a major cause in initial outbreaks and is banned in most countries. Is it then safe to assume that cows under this age limit are free of mad cow disease and don&apos;t need to be tested? According to Stanley B. Prusiner, MD, a professor of neurology and director of the Institute for Neurodegenerative Diseases at the University of California, San Francisco-is considered the world&apos;s foremost expert on mad cow disease--this is not a safe assumption. There is a glaring flaw in the widely held theory, and Dr. Prusiner has the scientific evidence to back it. 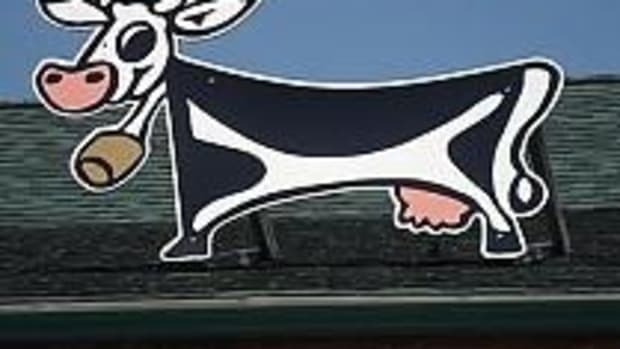 There are several causes of mad cow disease, according to Dr. Prusiner&apos;s recent article, "Detecting Mad Cow Disease" (Scientific American, July 2004). Cows, he confirms, can become infected after ingesting tainted feed. But more importantly, mad cow disease can spontaneously develop when a protein changes from its normal shape and becomes a disease-causing "prion." This metamorphosis has been overlooked in U.S. attempts to consider solutions and prevent a possible epidemic. Dr. Prusiner further confirms that mad cow disease is hereditary and can be contracted through blood transfusions. In addition, it can "incubate without symptoms for years, even decades," he writes. Thus, an animal that has contracted BSE at a young age, i.e. under 20 months of age, either through spontaneous formation or genetic makeup and may not show signs of the disease before it&apos;s slaughtered and enters the food supply. 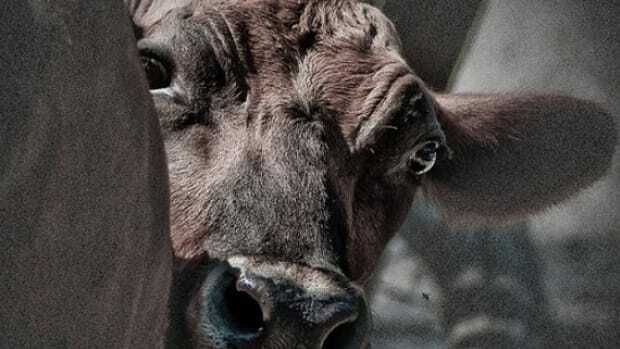 Ann Veneman, U.S. Secretary of Agriculture, stated in a news conference early in 2004: "Scientific evidence shows that only nervous tissue like the brain and spinal cord can carry the infectious agent" for mad cow disease. This is false, according to Dr. Prusiner&apos;s research. Unfortunately, the media jumped on the bandwagon with Veneman&apos;s statement, and few have delved any deeper to expose the fallacy of her statement. In reality, prions can be found in any part of a cow-not just the brain, - according to Giuseppe Legname, PhD, an associate assistant professor of neurology at UCSF. 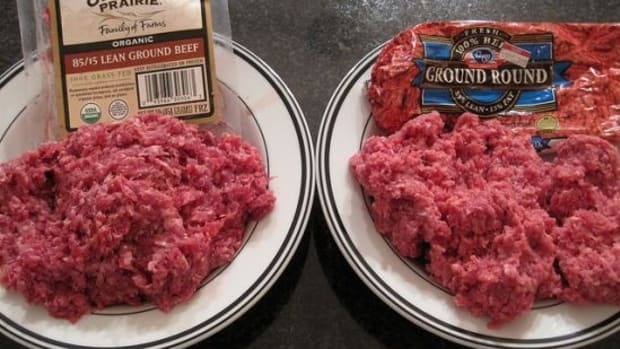 "There is strong evidence that if a cow is infected with prions, the animal is going to have prions in some cuts of meat," he tells OrganicAuthority.com. "The cuts of meat more at risk are those closest to the central nervous system and those that are closer or near the bone." The government and media have perpetuated yet another false assumption: that BSE is solely an infectious agent (a virus)-one of the assertions U.S. officials fed the Japanese government. But "prions can arise spontaneously, which is an extremely important characteristic that distinguishes prions from viruses," Dr. Prusiner writes. "In fact, any mammal is capable of producing prions spontaneously." Dr. Prusiner coined the term "prion" in the early 1980s while uncovering the cause of scrapie (the sheep equivalent of BSE). He formally linked the condition to a single malformed protein, or "prion." Deadly prions infect cattle through feed tainted with bovine prions. 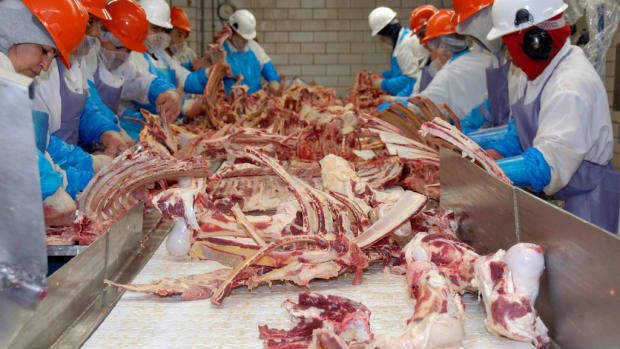 For years, conventionally raised cows were forced to eat feed that contained cattle byproducts, essentially rendered slaughterhouse waste, such as blood, fat and organs, which are recycled and processed for industrial use-essentially a form of cannibalism. In essence, cows were being fed other cows-a primary cause of initial BSE outbreaks. But Dr. Prusiner points out that BSE is "sporadic," occurring spontaneously "for no apparent reason," in both animals and humans. In humans, the condition is correctly classified as a form of Creutzfeldt-Jakob disease (CJD), which is fatal. In sheep, the brain-wasting disease is the aforementioned scrapie. Interestingly, Dr. Prusiner notes that prions are "not always bad" and may actually "help maintain neuronal functioning." So, what causes them to form? Science has not yet resolved this mystery, and more research is clearly needed. Mad cow disease became a household term after the first epidemics surfaced in the United Kingdom in the mid-&apos;80s and early &apos;90s. The British government responded by slaughtering herds of cattle to prevent the spread of BSE. In addition, new protocols were instituted for blood donations and transfusions, resulting in a shortage of blood in the healthcare setting. By 1996, the U.K. instituted a strict feed ban that barred the use of cattle meal in feed. These regulations came a bit too late, as CJD had already presented in British citizens, solidifying the theory that BSE can be transmitted to humans. When conducting animal studies to learn more about transmission, researchers discovered that prions could infect healthy animals through blood transfusions from BSE-afflicted animals, according to Dr. Prusiner. That&apos;s why U.S. residents who lived in the United Kingdom between 1980 and 1996 cannot donate blood, while those born after 1996 may receive transfusions only from overseas sources. "Nature Magazine and Science state we have prions in the blood supply," Dr. Legname says. "There is a huge shortage of blood in this country and around the world. People who lived in England in the late &apos;80s are not allowed to donate blood because of the epidemic." (Those born earlier are considered already exposed). We need to take a serious look at the U.S. Department of Agriculture&apos;s (USDA) method of BSE testing. The United States has recorded only one case of mad cow disease in its history. Do we currently test enough cattle to find every possible case? "Japan tests every single cow," Dr. Legname tells OrganicAuthority.com. "Another country that doesn&apos;t test at all will never find it. The European Union does extensive testing. The more they test, the more they find. Are there prion-infected cows here? If we do more testing in the U.S., we will likely find more cows infected with BSE." But is this approach sufficient to control an outbreak? "There is no magic number when it comes to testing cows," Dr. Legname explains. "If you do increase testing, you will not add more than a few cents per pound for meat-and it&apos;s worth it. You cannot apply a simple mathematical model if we test a certain number this way. I don&apos;t know [a particular number] because we don&apos;t know why the sporadic occurrence [of prions] happens. Unless you step up the screening, you are never sure you are doing everything in your power to contain a possible epidemic. There are various cases that have developed BSE due to sporadic change. At the end of the day, it should be about sporadic cases." Humans face yet another risk from the consumption of specific over-the-counter products. "The problem is not just consuming beef [products], but there is a huge market of dietetic products," he says. "Most products come from cows, and they are not tested for prions. If you try to increase your health through these supplements, you may not be doing a good thing for your body. There is a huge spectrum of products where we simply don&apos;t know where they are coming from-what part of the animal it comes from and where." Examples of products at risk are: cosmetics, lotions, soap, geletain capsules, dietetic supplements, and other food items like sausage casings. 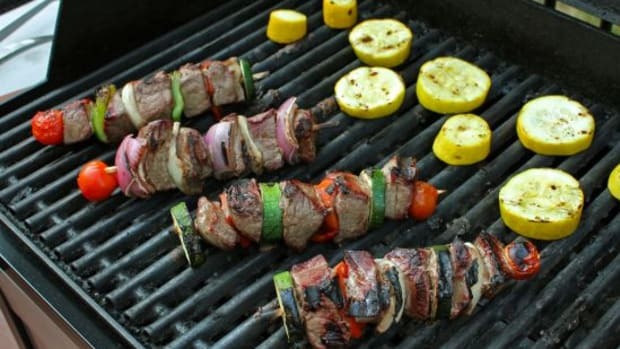 Is Organic Pastured Beef the Answer? Many news publications, magazines, journals and the media have claimed that if one eats organic beef there is absolutely no chance of contracting BSE. "It&apos;s not true that organically grown beef is 100% free of BSE because proteins can sporadically change shape [and form a prion]," Dr. Legname explains. "The prion protein exists everywhere in the human body and is the same in a cow. If the prion changes shape into a cube, it becomes infectious, which can happen in a cow that has not been exposed to infected food. Sporadic occurrence might not be due to any understandable cause [such as eating other animal parts]." "We should do everything in our power to demand more screening," Dr. Legname warns. "That&apos;s the only way we can be protected. "Secondly, it is a personal choice if you don&apos;t want to give up steak," he continues. "At the end of the day, it is about risks and benefits. People should be aware. Knowledge is important. The No. 1 fix is screening. No. 2, we need to be aware of other products that are derived from cows or animals that could have the prion disease." As consumers, we clearly must make wise choices. If you consume beef in moderate proportions, choose organic, pastured grass-fed beef (from birth to market), which decreases your chances of ingesting tainted meat. As things stand now, Japan will continue to test all locally raised cows for BSE. Isn&apos;t this somehow a double standard? How will local consumers react? 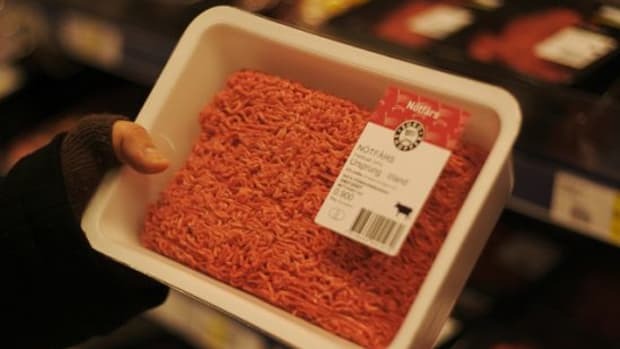 Will meat be labeled "tested for mad cow disease" or "imported from the U.S.?" One can only hope that Japanese consumers step up the dinner plate and reject this double standard.